I love the heat. I’m happiest when I’m enveloped in a blanket of hot air and beaming sunshine. Since I moved back to New England from Florida many years ago, I’ve never once complained about the heat here. It may get hot, and in some cases make me uncomfortable, but it’s a happy warmth I prefer 1,000 times over to the bitter cold of winter. 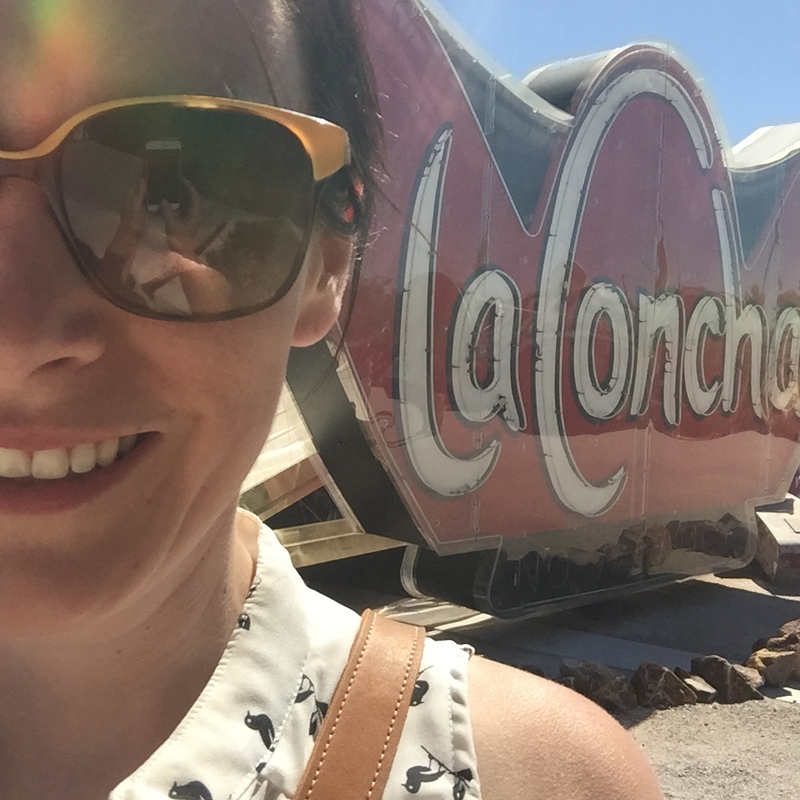 When I heard my husband’s annual work conference was in Las Vegas…in July…I was very eager to go and experience a new and extreme level of heat. For a thick-blooded New Englander like myself, the July heat of Las Vegas is absolutely wonderful at night, pleasantly toasty in the morning, and down-right mean in the afternoon. Hot sidewalks left my sandaled feet scorched and the sun from a few hours by the pool made me feel like every ounce of liquid from my body had evaporating into the desert air. 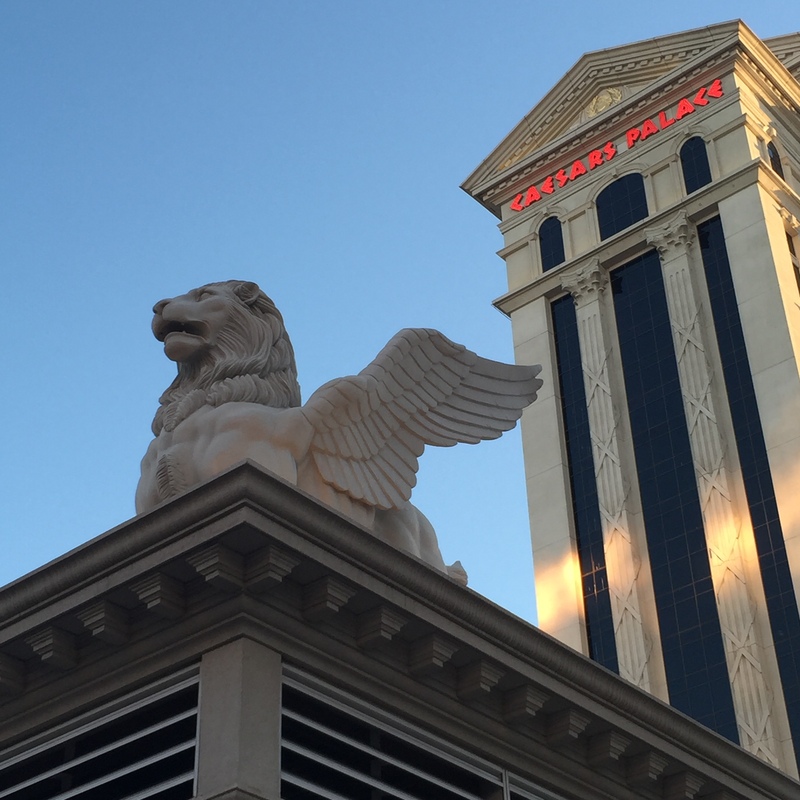 There was plenty to hate about Las Vegas: The mall-like atmosphere, cheesy Broadway knock-off shows, the constant casino gaming assault on your senses, the massive crunch of people everywhere you go at all hours of the day. But the heat was something I loved. 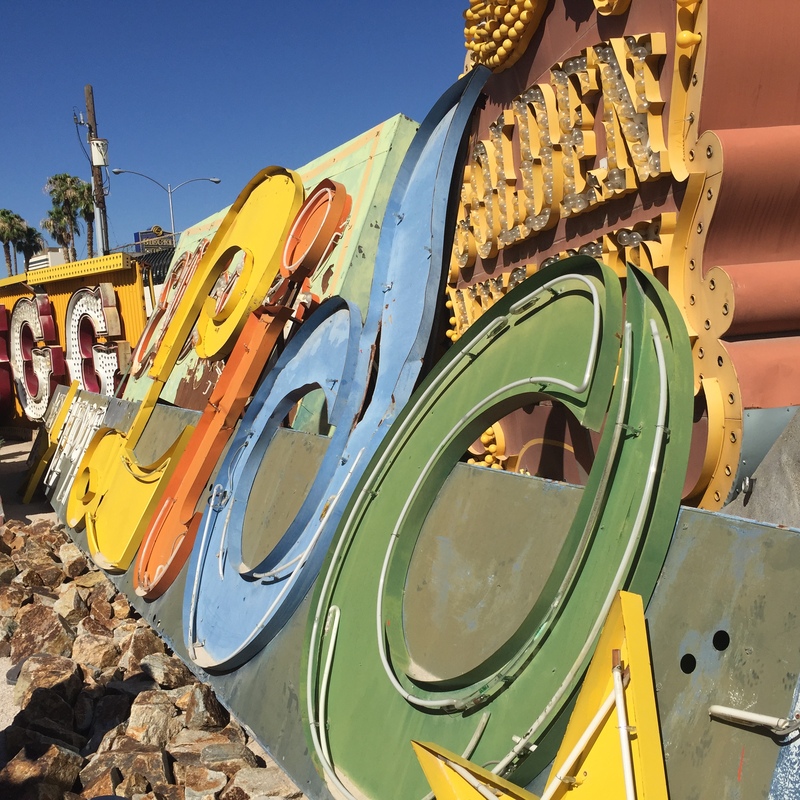 I also loved the Neon Museum, an off-the-beaten-path gallery of retired Las Vegas signs preserved by a group of locals looking to keep alive the memory of what the city was before the mega-casino complexes ate everything up. 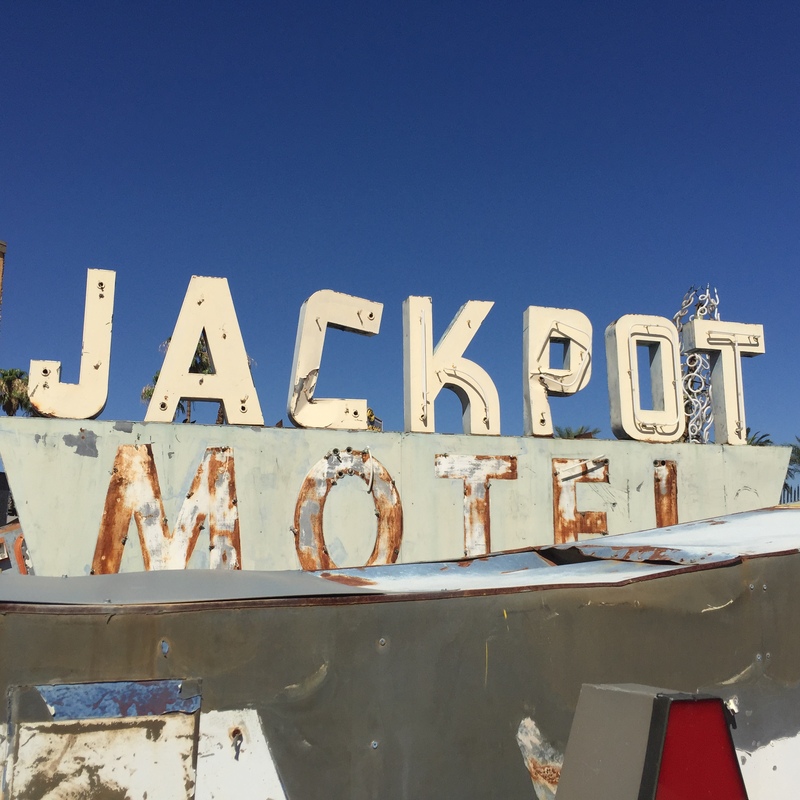 Our tour guide was a wonderful old Las Vegas native who wore a T-shirt adorned with kittens and had dirt on all the old casinos, how they came up, and when they were torn down. I’m not usually one for selfies, but I couldn’t help myself. 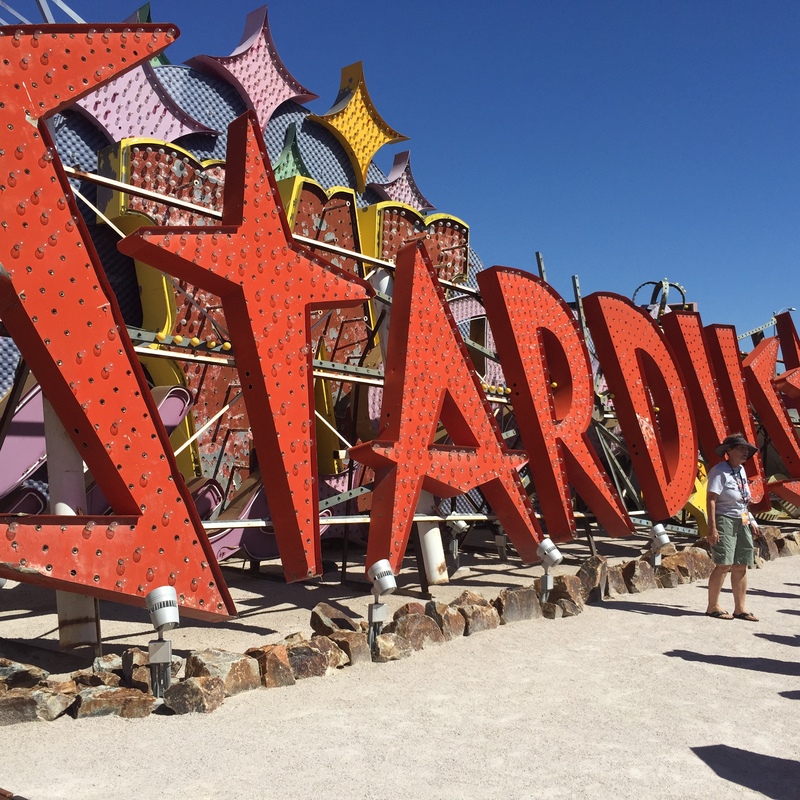 For anyone who loves mid-century modern style, the glitz of Old Hollywood or just the outrageously gaudy, there’s something for you in this small, but thorough museum.